Our conviction is that sustainable products are the result of the interaction of social and technical competencies. We help our customers from medium-sized businesses to products and processes that are tailor-made to their specific needs. We recognize and promote the people and their abilities in the technical processes. For this, we bundle our many years of experience and expertise from engineering and social science, vehicle construction and development as well as our coaching and communication competence for transition of you and your company. Experience drives Strategy – Our MSCDPS® method fits very well to your needs, because it is driven by our commercial vehicle experience combined with our social scientific approach. Due to our hands-on practice, we go deep into detail, for example we provide some load spectra for European service conditions or create training measures for management and workers. We depend on a network of skilled responsible people and provide direct access to stake holders in the European and US market for passenger cars, towed and self-propelled light, medium and heavy agricultural and commercial vehicles. The break-even point of course will be affected by the technology used, the fixed and variable costs, and the overall flexibility, but our vision is quality drives cost, because due to good quality a lot of depending cost can be reduced and the focus of development oriented towards innovation for your customers. Who is the relevant competition? To make a positive entry into a market, one must thoroughly understand the strengths and weaknesses of one’s competitors. By making a comparison with one’s main competitors, the advantages and disadvantages of one’s own product become apparent. Using as a basis for comparison an analysis (focusing on sales, related products, and their quantity) of all customers, all with a view toward identifying potential customers. We provide tools for the objective evaluation of variations according to technical, economic and strategic aspects. With the aid of morphological schemes and a weighting of the evaluation criteria coordinated with the customer, scenarios with the state of the current knowledge and at least a future scenario showing the possible potentials are developed and evaluated. 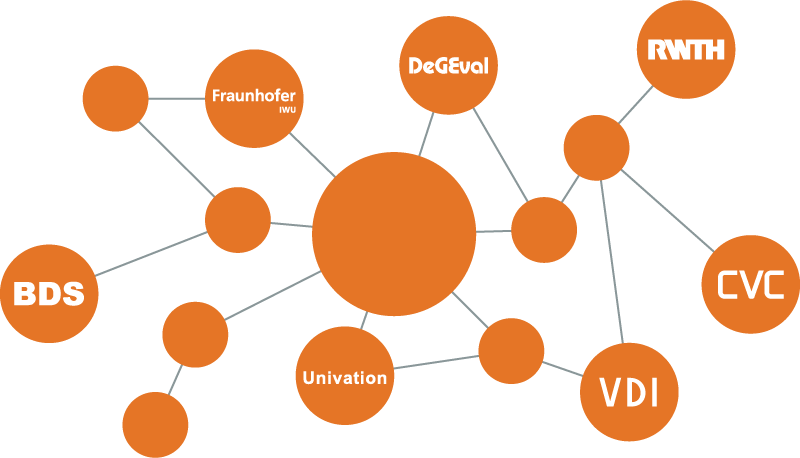 For this, we bring our great knowledge of industrial manufacturing processes, our network and our evaluation knowledge. Quality is the result of continuous effort and improvement. We organize and take part personally part in KAIZEN workshops, elaborate with your teams detailed documentation and implement methods for assessment. At the beginning of each product creation process using the MSCDPS® method, the boundaries of the components or methods are determined. This is done by tests with valid conditions. 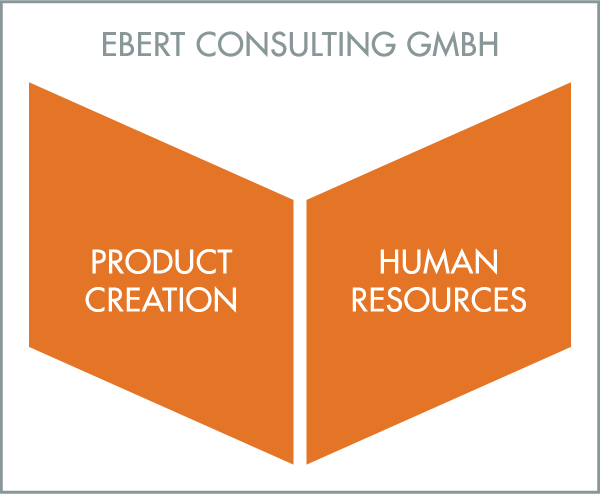 The partners of EBERTCONSULTING GmbH have many years of experience in the organization, training and implementation of product development processes, especially for commercial vehicles and their components. With our practice-oriented approach we go into detail, for example, we can provide load spectra for European operating conditions for some commercial vehicles. We organize material tests and evaluate the results as well as, for example, scanning electron microscopy investigations. We rely on a strong network of qualified responsible persons and have direct access to stakeholders in the European and US market for drawn and self-propelled light, medium and heavy commercial vehicles, in universities and test labs. Due to our long lasting experience especially for quality control and detailed know how we can propose, assess, train, qualify and approve existing or new suppliers worldwide. The human factor, the qualification and the motivation of the employees are responsible for the success of each organization. We work with the responsible personnel profiles, e.g. by observing suitable candidates in your work environment, develop training programs for the technical and personal development of the employees, support with recruitings and help in setting up company academies. Change means transition. Without communicative accompaniment change can cause uncertainty. With our MSCDPS® method, we organise change and take the employees with us applying our demand for high transparency of all meetings and all measures. Our aim is to make use of the existing qualifications and the acquired knowledge as well as the experience of the employees. In close cooperation, we develop individual programs with the responsible persons, eg to train for the handling of special tools. We recommend and support appropriate training measures externally or on the job for your employees. We use our network for the recruiting of junior staff or experienced employees. We use modern communication tools for the visualization and make use of an experienced video specialist. Coaching is one of our most important working instruments. The employees are accompanied by participating observation and receive feedback regarding their personal development. As experienced executives and technical experts, we conduct regular, personal mentoring sessions with the project leaders and chief engineers in order to bring our knowledge and strategies into our customer company. We target the regular project meetings using our moderation skills. It is important to take all parties involved, but not to lose sight of the thread of the meeting. We are moderating according to the Harvard concept. We develop visions with our customers and derive strategies for a sustainable improvement of their market position. Participation and support of our employees are our guiding principles. We combine our decades of experience in vehicle construction and development with coaching and communication competence to provide a coherent offer for comprehensive advice on change processes in small and medium-sized businesses. The goal is the tailor-made accompaniment of the on-site change processes with the relevant stakeholders towards a satisfactory result that is optimally adapted to the day-to-day operations. We bring together expert knowledge, networks, enthusiasm and experience from the professional fields and combine the essential skills of technology and social sciences. We gain our markets in Germany, France, Great Britain, Austria, Italy, US and China. Our customers are working with commercial vehicle, passenger car, industrial process and supplier industries. The needs of our customers are product development, restructuring and empowerment. In addition, we ensure quality improvement, make sound market analyses and support Merger & Acquisition. With the MSCDPS® model, we developed a methodology that helps companies implement and enforce new processes and structures. To introduce technical innovations and new processes in the company are the one thing to bring them into the company sustainably with the help of the employees involved in the process, but is the real art, because only then can the desired quality and ultimately also cost advantages be achieved . This is where our range of products – with the “Medium Size Company Design and Production System Method” (MSCDPS®) is set, with our partners, for an end-to-end consultation up to the serial state as well as an optimization of the human resources organization. The consulting process is divided into three stages: After the systematic collection of customer requirements, business cases are developed using scenario techniques and the implementation is supported up to the serial state. During the entire duration of the project, company management and managers are accompanied by coaching, supervision, feedback and communication workshops. Short distances between the consulting disciplines ensure a continuous exchange of information that makes it possible to optimally coordinate the individual steps. 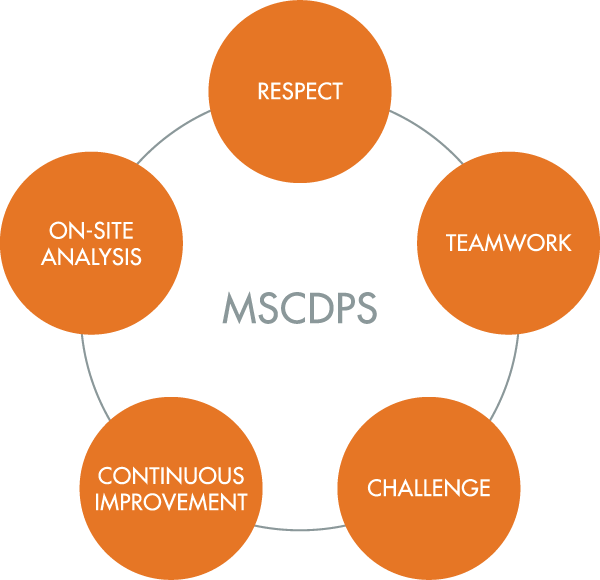 The focus of the MSCDPS® method is the implementation of tailor-made processes and their visualization as well as the constructive communication between the involved areas. The goal of achieving significant cost reductions with increased profitability by means of technologically process-oriented innovations can, in our experience, only be achieved if the factor ‘human’ is included from the outset. With all of our experience in commercial vehicle, car, assembly and manufacturing technology, as well as project evaluation and process moderation, we attach great importance to picking up and integrating the ideas and experiences of the process-relevant stakeholders as well as the company’s executives. Only in this way can demand-oriented advice and support work. He is your partner with his practical leadership experience as a former member of the board of management for product development and quality, and with market and operational experience for passcars, rail vehicles, commercial vehicles and chassis engineering. He used to be a visionary, go analytically, and consistently implement decisions with high motivation and organizational skills. He stands for consistent change management through customer-driven and cost-driven innovations. He has intercultural leadership experience for locations in Lithuania, Hungary, Italy, England, Japan and China as well as M & A experience. 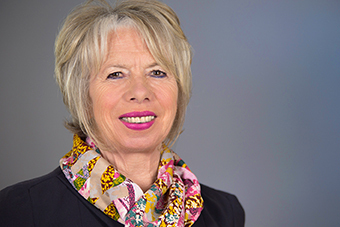 As a consultant with competences in evaluation and mediation she supports and accompany change and conflict resolution processes in companies and associations. In addition, as an economic mediator (IHK), she offers communication training, conflict moderation and conflict prevention as well as mediation in the dispute. Her mediation competence allows the participants – in the evaluation as well as in the mediation process – to work constructively. This creates a climate for all in which conflict escalation is avoided. The team’s focus is on conflict prevention. Through her mediative support, the participants are able to take advantage of the opportunities that are in conflict. This provides opportunities for change and development. In the sense of a cooperation mediation, all these change and development processes focus on the relationships and the interests and needs of all parties involved. 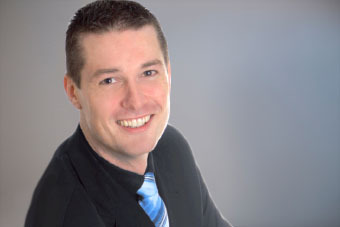 He is our expert for component design and optimization. We use the CREO simulation software for CAD design and finite element calculations. Kay Hömberg is an expert in lean production, cost reduction, productivity improvement, value analysis with customers and suppliers. 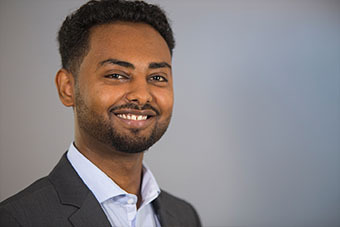 He is proven in practice with production, plant and logistics planning, mechanical processing and assembly technology and works for relocations of production sites. New distribution centers for Tier One suppliers. 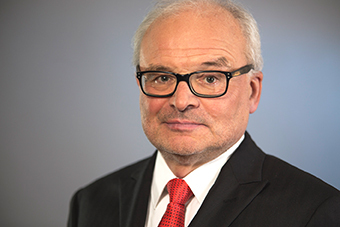 former researcher and logistics expert at the Fraunhofer Institute for Material Flow and Logistics and at the Department of Conveying and Storage leaded by Prof. Jünemann and Prof. ten Hompel. In a case study, the adaption and implementation of the MSCDPS® method to a Chinese market leading company is demonstrated. The MSCDPS® method is driven by long time experience in the management of change processes to gain a lean, innovative and self- optimising organisation for medium-sized companies. Its uniqueness is the introduction of socio-scientific insights in the change management for medium-sized companies. Core factor of a successful and self-driven transformation of a whole company is the engagement and qualification of the staff. It combines the TOYOTA approach of continuous improvement and strengthening the lean cooperation of all process partners with the western procedure of revolutionary leaps . With the MSCDPS®-method, the issues identified in the inventory potentials will be implemented with the involvement of employees. Clients market position and opportunities will be evaluated and quantified: this will take into account the costs, the durability of the products, etc. Also the strengths and weaknesses of one’s competitors will be investigated. The break-even point is affected by the technology used, the fixed and variable costs and the overall flexibility. After this “frontloading” the “continuous long lasting strategy to market leadership” can be defined and implemented. Step 1 “stable, self-optimising, and sustainable processes”: crucial is the development of a KAIZEN-Process. Step 2 “Establishment of a product clinic”: start of the advancement process for the product, installation of a product clinic, visualisation of its results for a continuous learning of the organisation. Step 3 “Monitoring, detailed measures”: visualisation of each process. Step 5 “Approval” of the pilot project, preparation to out roll additional areas”: results will be a commitment of management and co- workers for self-optimising and the on-going strategy. There will be transparent, continuous long lasting processes for problem solving and improved quality, reduced costs and better performance. Es wird die systematische Entwicklung eines neuen Produktes und Vorbereitung eines Geschäftsfeldes für ein mittelständisches Unternehmen aus der Nutzfahrzeugzulieferindustrie mit Hilfe eines ganzheitlichen Entwicklungsansatzes, der MSCDPS® Methode dargestellt. In einem konsequenten Top Down Vorgehen verbindet die MSCDPS®-Methode die japanische Entwicklungsphilosophie der kontinuierlichen Verbesserung mit der klassischen Konstruktionsmethodik. Dies ermöglicht eine kontinuierliche Prozessoptimierung und die revolutionären Entwicklungssprüngen, die notwendig sind, um Alleinstellungen zu bewahren bzw. zu erringen. Die DIN 16258 „Methode zur Berechnung und Deklaration des Energieverbrauchs und der Treibhausgasemissionen bei Transportdienstleistungen“ gibt Methoden zur Bewertung der Energieeffizienz des Warengütertransportes. So wird neben den möglichen Kosteneinsparungen durch reduzierten Energieeinsatz auch die Umweltverträglichkeit zu einem Auswahlkriterium für den Transportbetrieb. Der Kühltransport bietet erhebliche Potentiale zur Reduktion der Abgas‐ und Geräuschemissionen. FRIGOBLOCK hat eine Machbarkeitsstudie in Auftrag gegeben, die die technischen Randbedingungen eruieren, mögliche Partner und Wettbewerber identifizieren und die Wirtschaftlichkeit einer solchen Lösung untersuchen soll. Durch einen direkt vom drehenden Rad angetriebenen Generator kann Energie mit hohem Wirkungsgrad erzeugt und Bremsenergie rekuperiert werden. Mit einem Satz handelsüblicher Bleiakkumulatoren kann genügend Energie zwischengespeichert werden, um die Kühlmaschine eines Kühlsattelanhängers ohne zusätzlichen Verbrennungsmotor zu betreiben. Durch konsequente Systemintegration und Wahl von Großserienkomponenten wird das Kostentarget: „Amortisation der Anschaffungskosten innerhalb eines Jahres“ erreicht. Auf Komponentenebene ist ein Entwicklungsziel Skalen Effekte zu erzielen, um das Kostentarget zu erreichen. So wird ein identisches Planetengetriebe für die Trailerachse und für den Transporter GenSet gewählt. Durch den Einsatz von links und rechts zwei identischen Antriebseinheiten können kleinere, kostengünstigere Komponenten eingesetzt werden und das teure Differential kann entfallen. Für die Trailerachse mit 9 t Achslast gelingt es, Getriebe und Generator in ein Achsrohr zu integrieren. Für leichte Triebköpfe bzw. frontgetriebene Fahrzeuge mit einer Achslast von 2,4 t kann die Generatorgetriebeeinheit in den vorhandenen Bauraum zwischen den Radköpfen der Hinterachse integriert werden. Somit sind beide Lösungen ohne Änderungen am Rahmen des Fahrzeuges bzw. der Luftfederung nachrüstbar. Die abschließende Validierung der kritischen Komponente zeigt die Umsetzbarkeit für eine Serienproduktion. Evaluation praktisch! Wirkungen überprüfen, Maßnahmen optimieren, Berichtsqualität verbessern. The theoretical and methodical approaches to agile management are reflected in the practice and experience gained in Chinese companies from the commercial vehicle industry. Agile management is not only a project management method, but also a guiding principle and expression of a form of organizational structure. Jens Bergstein defines agility as “the ability of an organization to react quickly to changes.”  Other definitions describe agility as the highest form of adaptability. HR Pioneers has developed a model that consists of 6 levels: The agile target images: • Customer-oriented organizational structure; • Iterative process landscapes; • Employee-centric management skills; • Agile personnel and management instruments; • The agile corporate culture . Other criteria are: “The concept of agility involves short, straightforward planning and implementation cycles with “prototyping,”  so that immediate adaptation to the changing conditions is possible (“inspect and adapt”). Errors become visible at an early stage and can be corrected in the early stages, priorities are regularly queried and reoriented. Agility stands for iterative approach, lateral leadership, interdisciplinary and cross-functional teamwork as well as organized self-responsibility. For the decision-making in organizations this means that decisions are made “where the knowledge and not the disciplinary power sits.” According to the authors, this means that customers are integrated into the product development right from the start, so that continuous feedback and immediate learning transfer are process-oriented. Processes are thought out of customers’ minds. “Agile organisations have also understood that radical customer orientation along with radical employee orientation: “Agility is about people and the way they work together.” . Or give us a callback date.